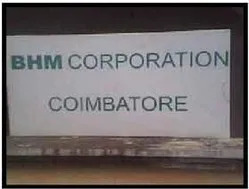 Incepted in the year 2003, BHM CORPORATION is a name to reckon with in the arena of manufacturing, exporting and supplying of a diversified range of industrial and engineering products and components like industrial gaskets, industrial flanges, ABS handles, industrial pull handles, industrial hinges, hostaform bush, industrial knobs etc., that are appreciated for their precision engineering and durability. Our product range includes Industrial Flanges, Rubber Flanges, Aluminium Flanges, CNC Components, CNC Turned Components, Industrial Plastic Products, Industrial Knobs, Industrial Latch, PC Glass, Industrial Pull Handles, ABS Handles, Refrigerant Distributors, Industrial Refrigerant, Industrial Components, Industrial Spindles, Striker Nuts, Copper Spuds, Isolators, Rubber Gaskets, Window Gaskets, Industrial Spindles, Spindles, Industrial Rubber Products, Hostaform Bush, Industrial Panel Bush, Rubber Glands, Industrial Hinges, Spring Isolators, Steel Spring Isolators. Under the able guidance of our mentors, we have been able to create a distinctive identity for ourselves in the industry in a short span of only 5 years and have achieved substantial turnover. Having an industry experience of more than 5 years, Mr. Khan is admired for his indigenous talent and the ability to accept challenges with great courage and zeal. 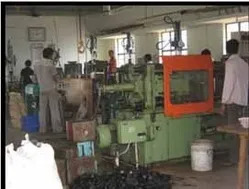 Situated in Coimbatore, Tamil Nadu, our well-built infrastructure and a dedicated workforce have enabled us in fulfilling the demands of our clients and standing high on their expectations. Moreover, our tie-ups with reputed C&F agents and various transport companies enable us to deliver the consignments to our clients based in any part of the world, in the shortest span of time. 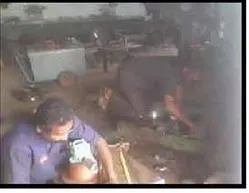 Trading, Importer and Exporter of Engineering Components. 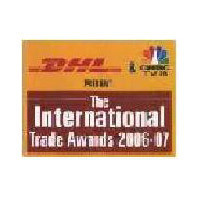 Category: Emerging Exporter, Organized by CNBC TV 18 & DHL. Competitive Environment: We believe in competition and more importantly in healthy competition, we have sustained this within our working procedures as it helps boost the potential of our personnel. European Union, China, Taiwan and Korea are some of the countries we have been successfully facing the external competition. Partnering Approach: Following a customer-centric approach, we believe in sharing mutually beneficial business relations with our clients, by serving their needs to the maximum and promptly replying to their queries. Strong Engineering Cell: Focus on the requirements of the customer and provide customized solution, by modifying the desired product to suit their needs perfectly. To locate ourselves in European Union and North American market. A well experienced and qualified workforce is the strength of the organization and we are proud of the fact that we have such a meticulous team of professionals working in our organization. To ensure the smooth functioning of the various business activities, we have divided our workforce into different teams of personnel holding specialization in their respective fields. Our workforce comprises engineers, technicians, research and development personnel, quality inspectors, sales and marketing professionals, and skilled labor. The various departments work in close coordination with each other and assist us in running our business efficiently and successfully. Every department has contributed towards the growth of the organization and their collective efforts are responsible for the status enjoyed by us today in the industry. Honesty and transparency in dealings.